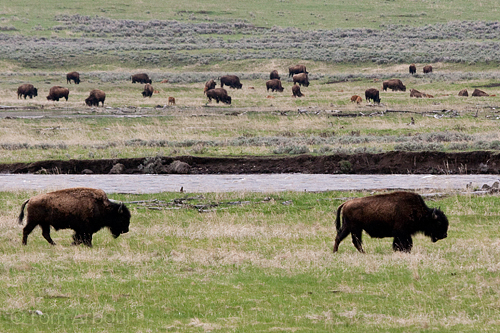 Yellowstone National Park truly teems with wildlife in spring, which runs right into the middle of June. When I was there just two weeks ago, I wore long underwear, hats, and gloves almost the entire time I was there. Now that I'm back in Ohio where it is downright tropical, these photos are beginning to feel like distant memories. Back to my"teeming with wildlife" quote. I'll quickly round out the first day for you. 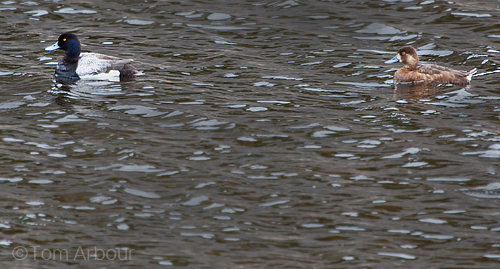 The ruddy duck and lesser scaup pair were hanging out with the sandhill cranes in floating island lake. After floating island lake, we went to the Slough Creek campground, found a site, and set up camp. 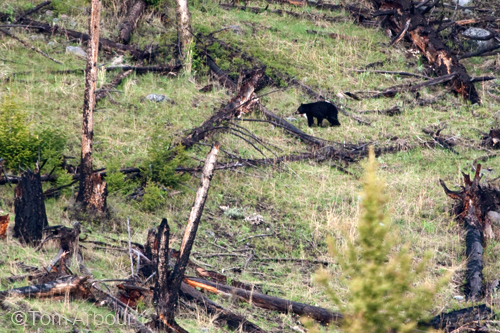 High up and across Slough Creek, we saw this black bear moving quickly through a burned forest area. 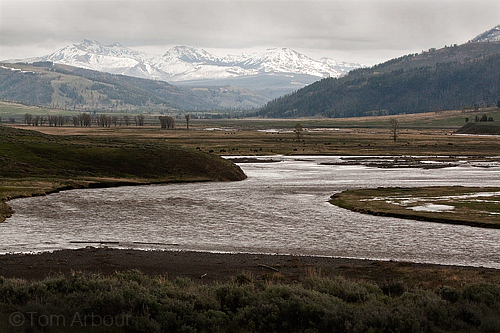 After setting up camp, we headed to the Lamar Valley, famous for its wildlife, including wolves. The expanse of the valley is immense. The tiny brown dots around the river bank are American Bison. 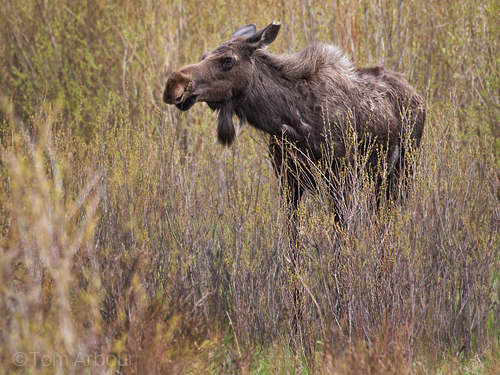 Further up the valley, we got an excellent look at this female moose chewing on willow sprouts- Moose are huge- look how long those legs are. 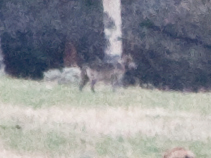 Finally, as evening faded, we spotted several wolves far across the valley. 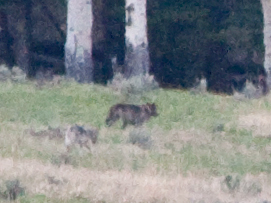 The return of the wolf to Yellowstone has meant many things to many people. To me, it was an amazing sight to watch wild wolves through binoculars and spotting scopes. At times, it was just a wee bit scary to think that there wasn't any fence between me and these predators, even if they were 1000 yards away. 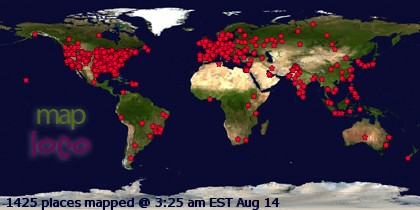 Enjoyed hear your account. 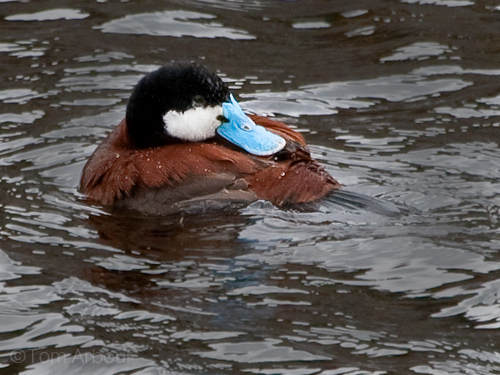 Especially loved the photos of the Ruddy Duck, Bison, and Moose.